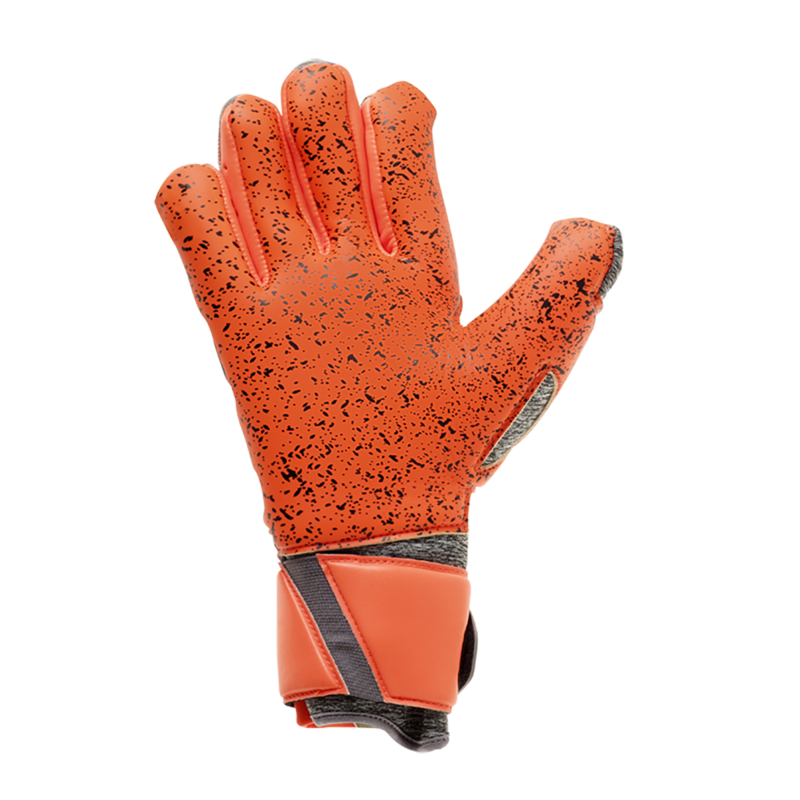 Uhlsport Aerored Supergrip palm for high grip performance and perfect abrasion resistance. Best balance of grip and durability in the Uhlsport range and arguably all goalkeeper gloves. The black particles in the latex are the "High Grip Elements". The Supergrip foam is simply the best gripping latex on the market right now and has a brand new color way for the 2018 World Cup. Comfortable textile for best breathability and wearing comfort with a 3D-embossed latex. The backhand also features a 3D-embossed SCHOCKZONE-element with high rebound foam for optimised punching performance and cushioning. The neoprene glove body gives the glove an almost custom fit. The backhand features the new heather gray and aerored finish for the 2018 World Cup in Russia. Classic Flat palm cut with new 360° wrap grants a maximised catching area and perfect fit. The 12° angle on the wrist supports the ergonomical hand position for perfect catching performance. Half wrap latex strap with stretch strap component for a custom fit. 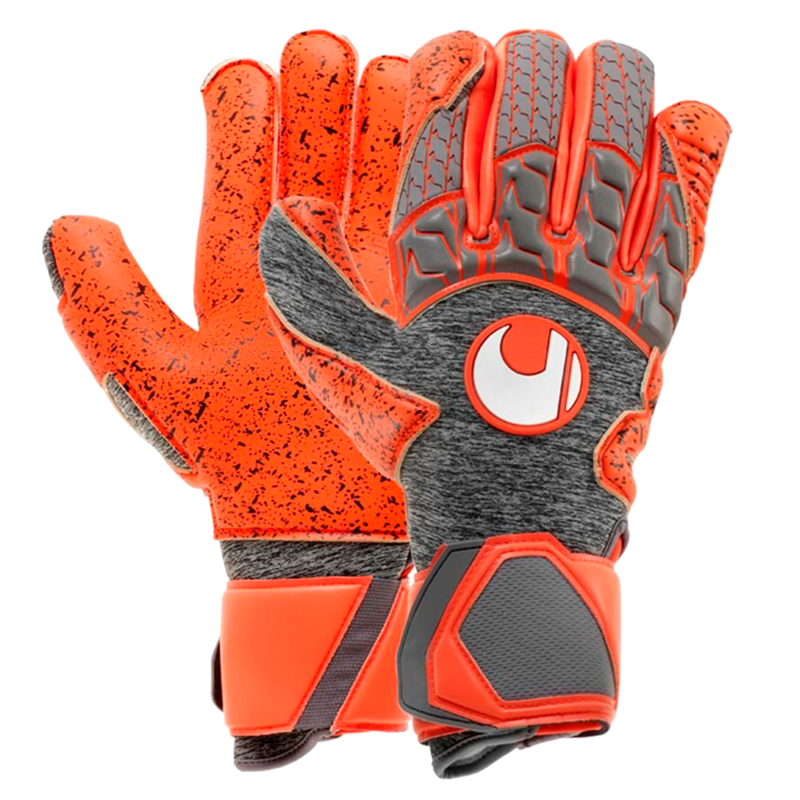 The glove entry has a neoprene body, with Uhlsports "Easy Entry System" to make pulling the glove on and off a breeze. Available in sizes 7, 8, 9, 10 and 11. These gloves were worn by pro keepers at the 2018 World Cup and across all major European leagues for the 2018/19 season. Comfortable, great fit, everything about it is great. There is a good reason why we purchased this 2x already, of its not because of the quality, super grip, just overall is satisfying.